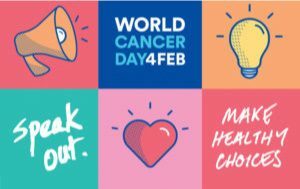 This Saturday, February 4th, is World Cancer Day and the theme over the last two years has been “We Can, I Can”. This day is about spreading awareness not just to the disease itself but also to the fact that YOU can do something to fight cancer. This day promotes taking better care of yourself and making good decisions around your health and nutrition. “We Can, I Can” survive cancer simply by making better choices. Surviving Cancer provides sound research and actionable steps that anyone can follow in order to live a longer and healthier life. 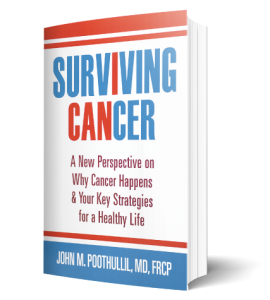 Whether you’re interested in preventing cancer or stopping its spread once it has been diagnosed, John M. Poothullil’s book Surviving Cancer will be an invaluable resource. Most people are baffled by cancer. They know it’s pervasive and a leading cause of death, yet no one can seem to agree on what causes it or how to cure it. For those who are at high risk of cancer due to genetics or environmental exposure, or for those who have already been diagnosed with the disease, this can be extremely disheartening. Physician John M. Poothullil, who has studied cancer and diabetes for over twenty years and who fought his own battle against lymphatic cancer, encourages his audience to understand cancer like an iceberg: we generally only acknowledge the visible parts while ignoring the enormous pieces that are not as easily seen. In his accessible, highly researched, and convincing new book, Poothullil opines that cancer grows when it is fed enough glucose. This is why cancer is pervasive among those with type 2 diabetes, who have higher than average supplies of glucose circulating through their bodies. Backed by plenty of biological research—some of which is presented in a easy-to-understand way, though at points the book’s language becomes too technical—the book forwards the notion that the spread of cancer can be halted if cells are starved of glucose. Those who are prone to cancer or who have already been diagnosed with localized cancer should eliminate grains—the main glucose-delivering culprits—from their diet, Poothullil says. With dietary recommendations, thoughts on exercise and supplements, stress-related information, and more, the book is a complete guide for those who want to fight against cancer. With feet in the worlds of both nature and medicine, the book does an excellent job of not being too dogmatic. It does not decry conventional methods of cancer treatment such as chemotherapy or radiation, yet it encourages patients to be proactive about their own health by watching what they eat and drink and how they live their lives. The book’s format is easy to navigate. 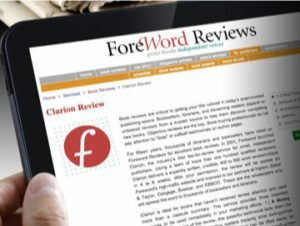 It includes a helpful prologue, short and digestible chapters, and an accessible summary that provides conclusions and key points for convenient reference once the book is completed. A must-have for those at high risk of developing the disease, Surviving Cancer provides sound research and actionable steps that anyone can follow in order to live a longer and healthier life. This eBook will be an invaluable resource for anyone who has already been diagnosed with cancer localized to a single site of origin and not yet colonized in another part of the body. It is also for anyone who believes they are at risk of cancer due to heredity, lifestyle, working conditions, stress levels, or for any other reason. And finally, this book is especially important for anyone with Type 2 diabetes, a population that is twice as likely to develop certain types of cancer compared to individuals who do not have diabetes.